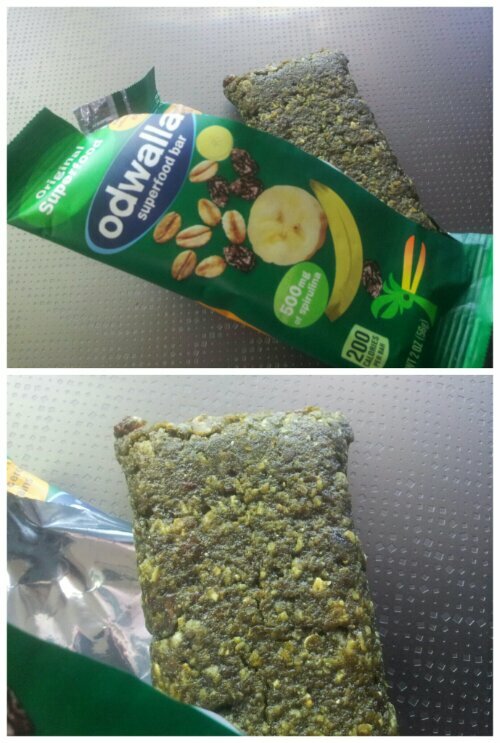 Looks can be deceiving as this Odwalla bar is a funky green color but tastes amazing. 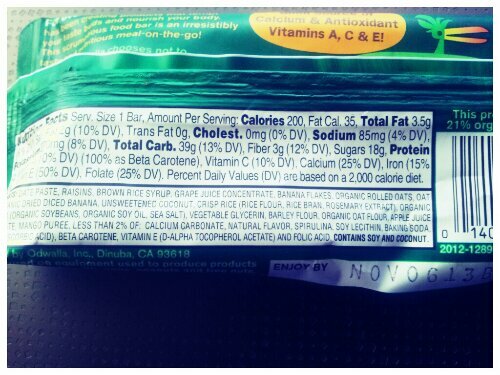 Like most Odwalla products, the ingredients are as organic and natural as possible. They we’re less then a dollar a bar which is pretty awesome. So this beats a double cheeae burger for a cheap filler.